March 31 is Cesar Chavez’s birthday and a holiday in California, Colorado and Texas. 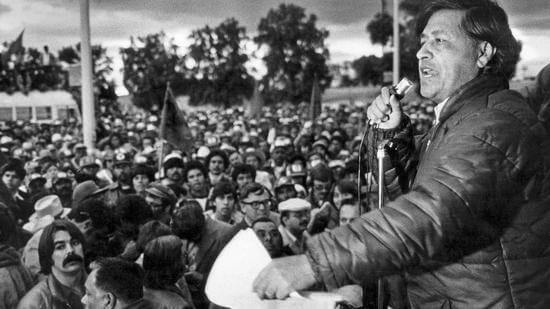 Cesar Chavez, who organized the United Farm Workers union, staged a massive grape boycott in the late 1960s to dramatize the plight of America’s poor farmhands, and later became a Gandhi-like leader to urban Mexican-Americans, was found dead Friday in San Luis, Ariz., police said. He was 66. Authorities in San Luis, a small farming town on the Mexican border about 25 miles south of Chavez’s native Yuma, said the legendary farm workers’ leader apparently died in his sleep at the home of a family friend.